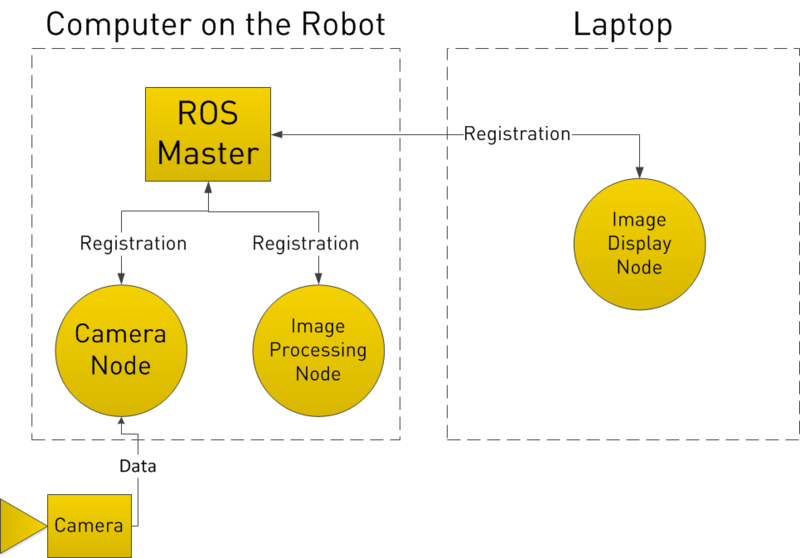 Without changing the complete grammar and vocabulary of the programming, we can build our system based on the basic platform available that is why ROS is called as a meta operating system(meta operating system is a OS that is built on a main OS and allows different processes to communicate with each other at runtime) in case of ROS it is based on Ubuntu-Linux. Tools and libraries are available for obtaining, creating, writing and running codes using multiple computer systems or androids etc. Peer to peer topology (in which both the sections or programs included can be client or server having same importance). Nodes are the processes that perform computation just like our normal programs or codes. And they communicate among themselves under the frame of action of ROS. These nodes are registered and work under the guidance of a ROS master(only one ROS master can run at a time). We can have several nodes for performing different tasks like taking sensor’s data, driving the motors, locating itself in the surrounding with the camera, processing the pictures, mapping the surrounding, processing the overall data etc. Nodes communicate with each other over a topic. Consider nodes as senders and receivers of mails then topic becomes the post office where the mails are dumped and the nodes who need these mails can receive from there. 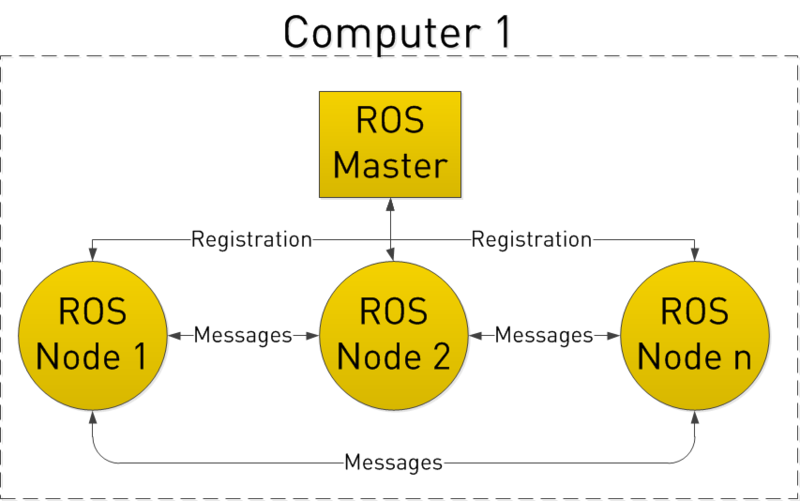 When the nodes are working independently and giving the output of their processes, they need to communicate for sending the result for further processing, so for this purpose ROS uses topics. A node can publish the data to the topic or subscribe the topic for receiving the data given by other nodes. The mails that we are referring to are nothing but the messages. Communication becomes easier when same kinds of messages are sent to a specific message topic so that ROS can convert these messages i. e. datastructures into bytes streams at the sender’s end and can transmit to recipient’s end. Again it is converting the bytes back to the messages of the same datastructures. So it’s like every node has its own message topic or just a topic where it is dumping all its data. To get some data the node has to ask the other node for the data i.e. subscribing. 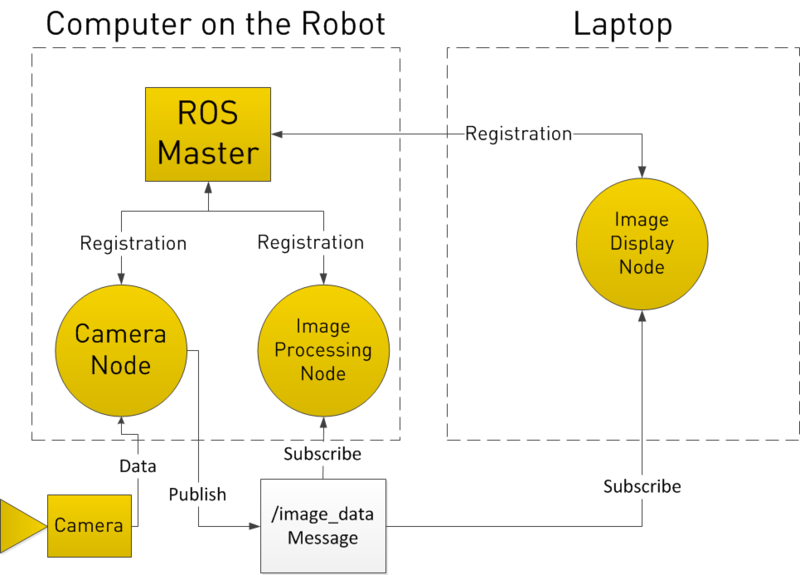 The node must have an instance of object that is called a ROS subscriber. When any node outputs its data to a topic, it needs to have one more object i.e. ROS Publisher. Publisher publishes the data over the ROS topic and subscriber subscribes to the topic for getting the data. Some similar kinds of packages are bound together known as stacks. A collection of packages for distribution. Note:For installation of latest version of ROS and detail information for starting with ROS refer to ROS’s official website.